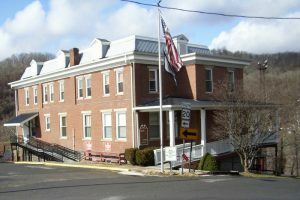 Summers County Council on Aging was formed in Hinton, West Virginia in 1974. We have serviced the community for more than 40 years and remain dedicated to providing quality services to our seniors. At Summers County Council on Aging we are committed to studying and reaching the needs of our seniors. We encourage, promote and aid in the establishment of local programs and services for the aging. We strive to assist and educate seniors with issues and programs affecting their needs. Monday thru Friday 7:00 a.m. to 4:00 p.m.
With our 5 vehicles we can provide the services needed to assist our seniors with transportation, meal delivery and Outreach for our shut-ins. Summers County Council on Aging, Inc does not discriminate against an individual with a disability in connection with the operation of its programs and services including the provision of transportation services in accordance with the Americans with Disabilities Act of 1990 (ADA). To find out more about our ADA Policies, to file a complaint, to request a reasonable modification or to request this information in another language, please contact us at (304) 466-4019. Summers County Council on Aging, Inc. is funded in part by the WV Bureau of Senior Services Appalachian Area Agency on Aging, Grants, Local Resources and Donations. Anyone age sixty or over and their spouses are encouraged to participate in our programs. Summers County Council on Aging, Inc. operates its programs and services without regard to race, color, and national origin in accordance with Title VI of the 1964 Civil Rights Act. To find more about our nondiscrimination obligations, to file a complaint, or to request this information in another language, please contact us at (304) 466-4019. Summers County Council on Aging is an equal opportunity employer.